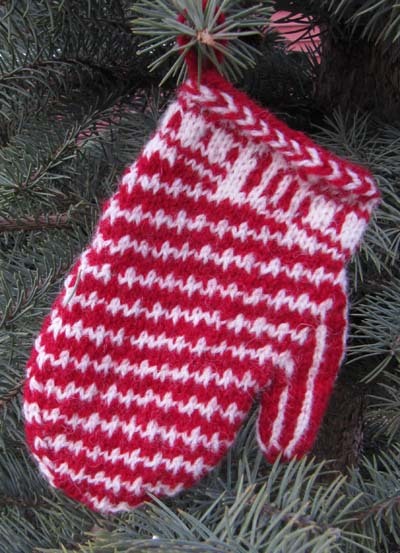 Another day, another mini-mitten. This one reminds me of a candy cane. It only took a few days to complete this one. My goal is to have all 24 mittens complete by December.